When organizations go through change, they have the challenge of taking their human employees along with them on the journey – and quite often with disastrous results. When its’ done right, however, organizational change can improve productivity, boost employee satisfaction and drive growth. 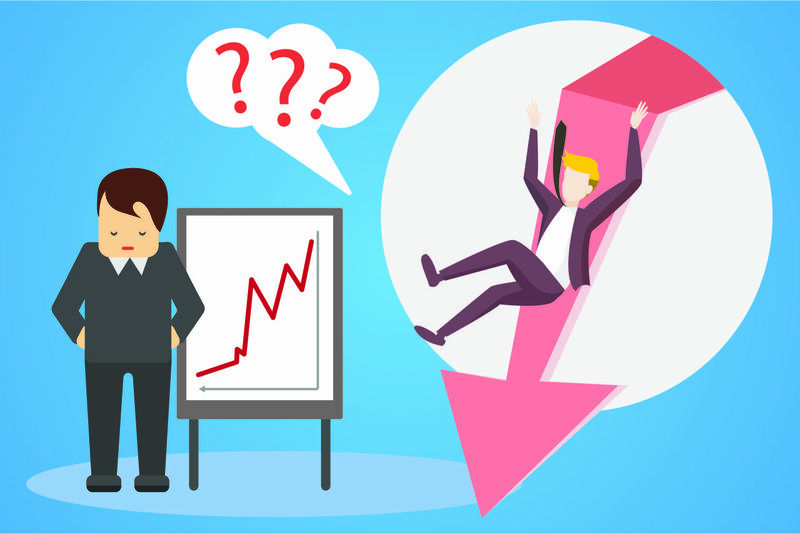 But on the other side of the coin, when organizational change is not manage correctly it can cause a decrease in productivity, financial losses, lowered employee morale, difficulties retaining top talent and even for the business to go bankrupt. According to a study by Towers Watson, 75 per cent of change management programs fail. If you have tried and failed to implement change in your organization before, you may be facing an uphill battle as your employees will have “change fatigue”. But even if you’ve never tried to change your organization before, it’s important to be prepared and to manage the process appropriately to prevent your company from becoming part of the statistics. Depending on the company, there can be numerous internal stakeholders with competing priorities and goals. There is, however, one area where they need to have a common goal, and that is the success of a change management program. Everyone within an organization has a part to play and can’t just carry on as usual thinking that they are exempt from change. It’s crucial that employees understand the reasons behind change and why it is important for the future success of your organization. Without painting a clear picture, individuals feel little motivation to participate fully. Therefore it’s vital that you explain the importance of the changes that are being undertaken, the reason why they are a priority and the urgency for change to occur. Be honest with your people about what will happen if changes aren’t made. It’s essential that you create a vision for the future and communicate this to employees. What will your organization look like on the other side of the change process? What will be different and what will stay the same? Large scale change cannot be made ad-hoc without a strong strategy with clearly defined actions and goals in place. There needs to be a road map that everyone in your organization can follow and understand, taking the company through the process. Without a strategy, your change program will stumble at best and fail at worst. As well as having the clear roadmap in place, you need your management team to be leading your employees through the process. It’s critical that everyone is on board, from the top down, to consistently model behaviors. If your top people aren’t enthusiastic and committed to change, can you really expect everyone else in the organization to be? Key to the success of any organizational change program is a strong internal communications strategy that spells what you are communicating to staff, when you are communicating it, how often you are communicating and the communications channels you will use to communicate. When people aren’t adequately informed, they can’t be expected to understand what is happening and when. All facets of your change management program need the right tools for the job. A spreadsheet isn’t going to cut it, and a lot of project management software is also not up to the job. Communications channels aren’t created equally either. How you communicate with your employees is crucial – emails for example are unreliable and not likely to be seen by everyone. 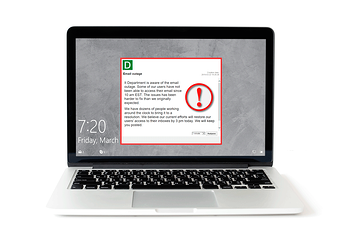 Having a dedicated channel such as DeskAlerts is a great way to cut through the electronic clutter and ensure your change management communications are seen by every employee. More often than not, there will be impediments that stand in the way of successful change. Sometimes these can seem difficult to remove – for example policies, systems and other structures that need to be dismantled. By leaving any of these things in place, you will be undermining the over all success of your change management initiative. While systems and structures need to be dismantled, it’s also essential to get the balance right and take into consideration the employees who will be carrying the work out. If the user experience is poor, the outcome will be poor. You need to design things in such a way that it will be easy to use and adopt by actual people. The more complicated, confusing and clunky your new systems are, the less success they will enjoy. If possible, undertake a significant consultation process and include your employees’ opinions in the design of new structures and systems. As the people who will be working at the coal face they will be best place to tell you what will work and what won’t work, and when you have buy-in at this level the change is more likely to succeed. You can’t just go by feel – you need to have a system in place where you can measure the results of your change management project. Having a set of metrics you can benchmark and compare will help you to determine if the project has been a success of a failure. With the right measuring tools in place, you can monitor the project along the way to determine the progress and make any necessary changes to ensure that the overall project is a success.